← SMALL GREAT THINGS IN ONE BIG BOOK! 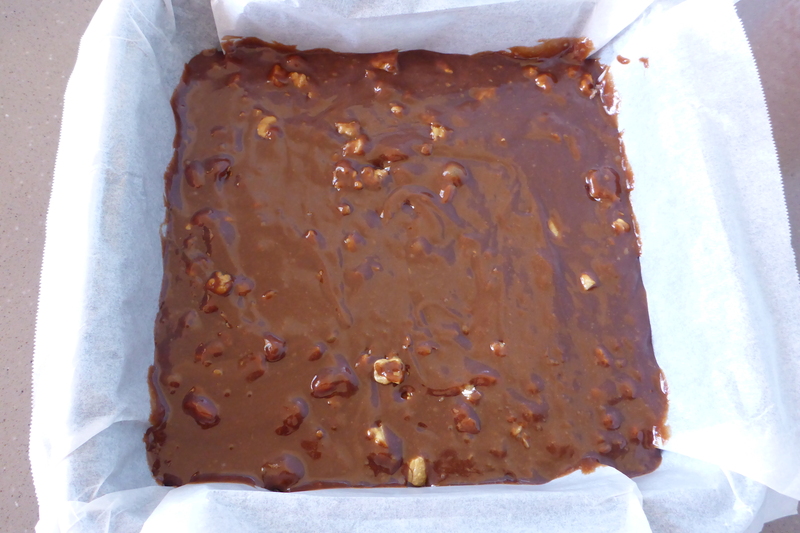 Line an 18cm square pan with baking paper and set aside while also preheating your oven to 170 degrees Celsius. 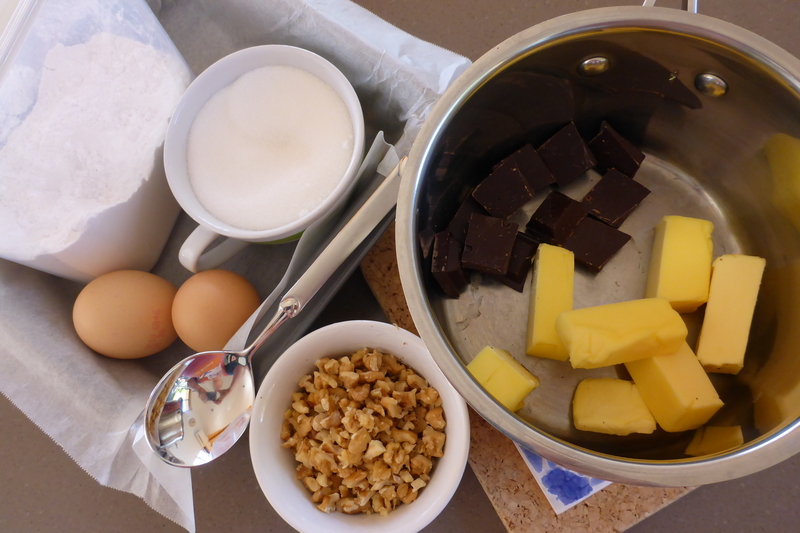 Place the butter and chocolate in a medium size saucepan, over a low heat melt and stir until it is well combined. Remove the pan from the heat and add the sugar. 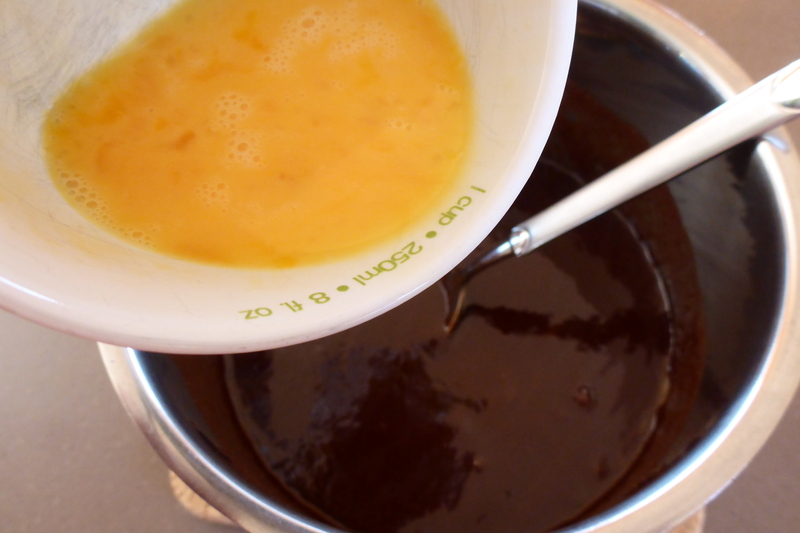 Stir until well combined then add the vanilla and eggs stirring continually until combined. Be careful not to over beat at any stage, use a gentle stirring motion. 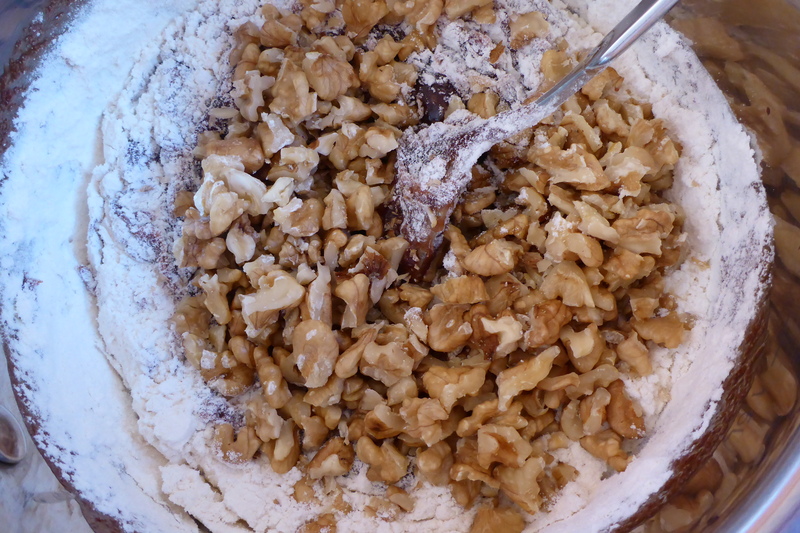 Stir in the flour and walnuts until just combined (making sure the flour is completely incorporated). 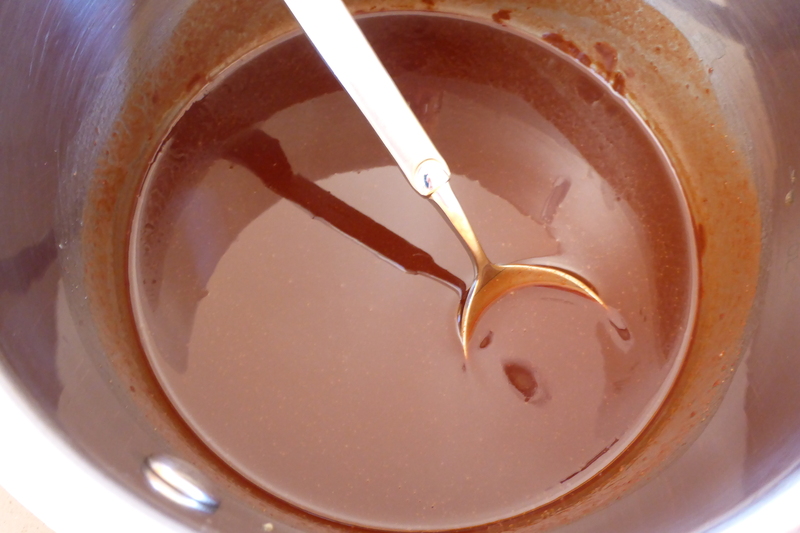 Carefully spread the mixture into your lined tin, making sure it is evenly distributed. Bake for approx. 20-25 minutes making sure you keep a close eye on it so you don’t overcook the brownies. Remove from the oven when cooked through but still fudgy. 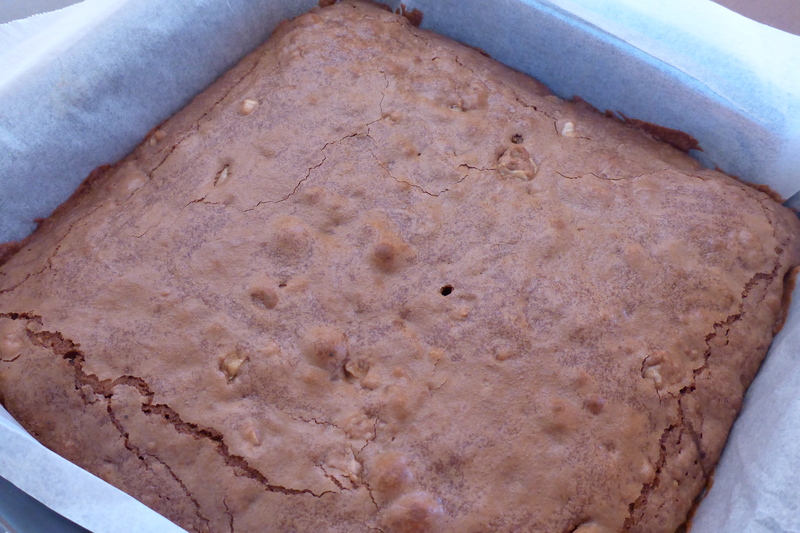 Leave to cool before lifting out of the pan and cutting into squares. You can use any nuts you like in this recipe, the choice is yours. 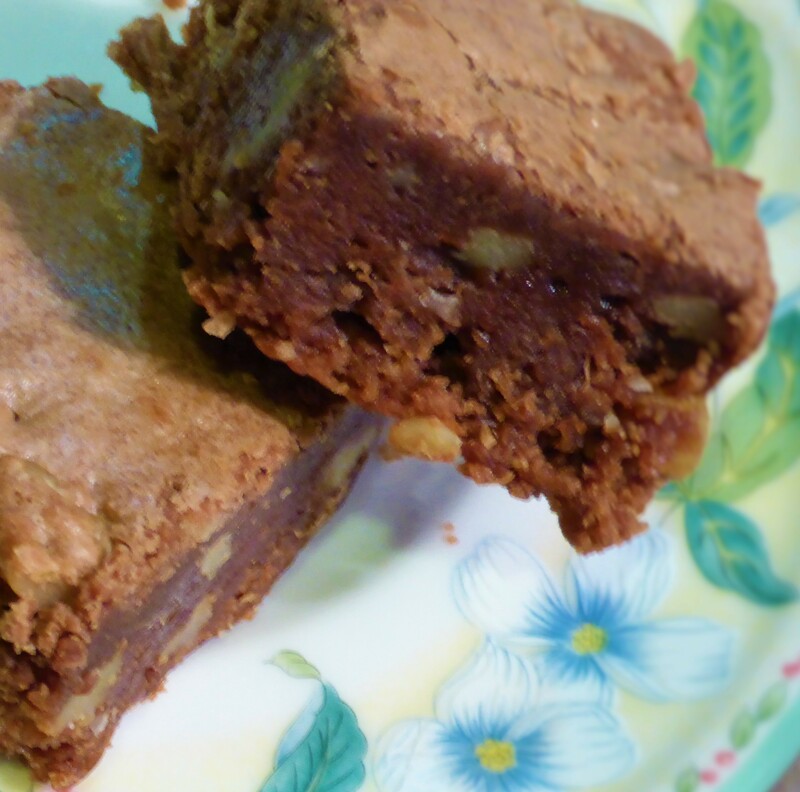 This brownie should be fudgy and always has a crisp edge to it. You can dust with icing sugar or make a chocolate buttercream icing as well. 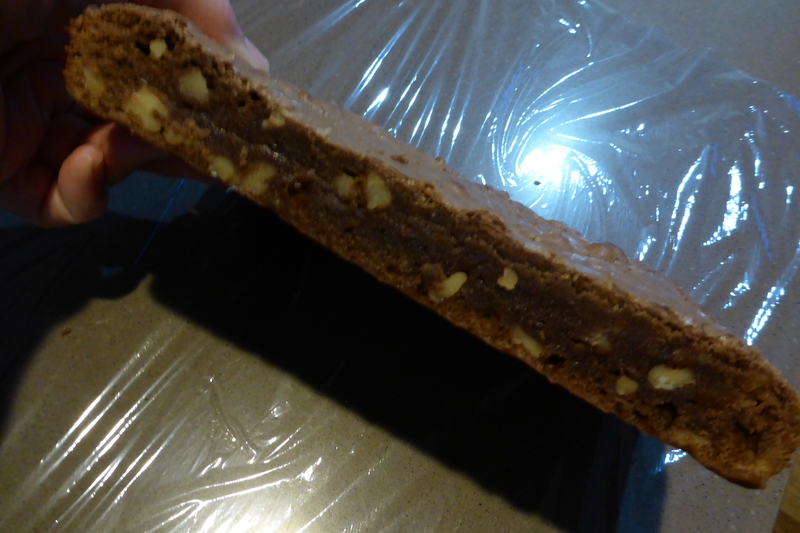 This entry was posted in Home, Recipes, Sweet and tagged Baking, Brownies, Chocolate, slice, Walnuts. Bookmark the permalink.